Please bring your presentations in .ppt .pptx or .pdf formats and hand them over at the registration desk or at least one day before your presentation. The presentations will be streamed from our computers only. Please make sure that your presentation uses high contrast colors and font-size of at least 24pt. Presentations check-in room is located at the 11th floor. Please make arrangements at the registration desk. Suggested poster size: A0 (width 841 mm x height 1189 mm), portrait orientation. Adhesive material will be provided. 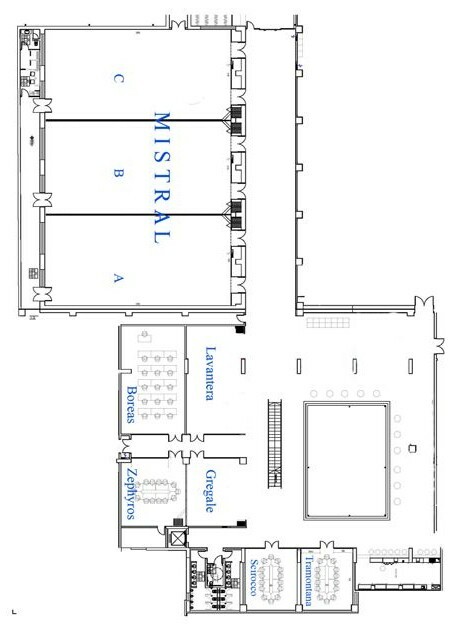 Poster sessions will take place at the congress levels, in front of the Mistral A Hall. Poster presenters are kindly requested to mount their posters Saturday, March 27 between 14:00 and 14:30 and remove them the same day at 18:00.